I uploaded the latest episode of the NT Pod yesterday, NT Pod 26: The Case Against Q. It is the fourth and final episode in the current series of back-to-back episodes on the Synoptic Problem that I have been running in tandem with my New Testament Introduction class here at Duke. For those who may be interested in reading more about this topic, I have a few suggestions. The New Testament Gateway has a section on the Synoptic Problem, which gathers together different resources on the issue, including websites like Stephen Carlson's Synoptic Problem Home Page and Mahlon Smith's Synoptic Gospels Primer. There is also a Books and Articles for those who want to take things a little further. I have a website related to the specific topic of this podcast and it is called the Case Against Q Website. This has been on the web now for 13 years, which is quite a long time in internet history. When I had a book published on the topic in 2002, I turned the site into a companion site for that book. Now eight years later, I am wondering about turning it back into a free-standing site. But that does, of course, depend on whether I can find the time to update it. You can find lots of material on the topic there, including articles by Farrer, Goulder and me about the Farrer theory, which affirms Marcan Priority but dispenses with Q. My website is all back this morning, now that I have shelled out a bit extra cash for more bandwith. I think I'll keep the extended episodes of the NT Pod on my Duke server space since they are so much larger than the standard episodes and since more people have downloaded them than I expected. I am planning also to back up the NT Pod as a whole to my Duke server space. My website went down tonight because my monthly bandwidth limit had been exceeded. This took me a little by surprise because the last time I looked, a couple of months ago, I was only using 5-10% of my monthly allocation. The thing that has made all the difference is the unexpected success of the NT Pod. In particular, it never occurred to me that people would want to download the extended episodes in such numbers. It was only something of an experiment, to take class recordings and package them as extended episodes of the regular podcasts. Well, it is gratifying that people are enjoying the podcasts, but since this has forced the site to go down, this is a quick post to explain that it should be back again soon. I have parted with more money for extra monthly bandwidth allocation (1,000 GB) and I have also moved the extended episodes to my Duke server space, along with other recent episodes. So at the moment, you should be able to access a lot of the NT Pod via its website or via iTunes U. Let me know if you have trouble getting to it. My main website itself is still down, though, and in the mean time, you can get to an older back up here at Duke. I hope to have everything completely fixed and back to normal by tomorrow. Incidentally, this is a fine example of the use of Youtube by official organizations. Since Monty Python put clips like this on Youtube, sales of their DVDs apparently multiplied massively. There is a lesson there for online marketing that is still not understood by very many people. A professor of New Testament and gender hermeneutics at the Catholic Institute of West Africa, Okure will speak on Feb. 17. Please note schedule changes made on Feb. 15. Teresa Okure, professor of New Testament and gender hermeneutics at the Catholic Institute of West Africa, will present the 2010 Duke Divinity School Clark Lectures on Feb. 17. She will present “Reading the Gospel Miracles as Parables: Mark 5:1-20 as an Example” at 8:30 a.m. in Room 0016 Westbrook. She will present “Rediscovering ‘the New’ in the New Testament,” at 12:20 p.m. in Room 0016 Westbrook. Okure, who lives in Nigeria, is a Sister of the Society of the Holy Child Jesus. She also has served in various leadership roles at the Catholic Institute of West Africa, including academic dean, dean of student affairs, and head of the Department of Biblical Studies. A member of various national and international theological and biblical associations, Okure is a well-known biblical scholar who has lectured widely both nationally and internationally. She is the founding president of the Catholic Biblical Association of Nigeria (CABAN) and a co-editor of the new Biblical Commentary Series, Texts@Contexts, the first volumes of which are due to appear in November, published by Fortress Press. Tomorrow's Times carries an article on the forthcoming fifth episode of The Bible: A History, which focuses on Jesus and is presented by Gerry Adams. The article is headed I know why Judas betrayed Jesus, says Gerry Adams in Channel 4 documentary. Except that he does not. The documentary does not actually discuss Judas at all. (I am series consultant, which is why I have seen and contributed to these materials). The Times has apparently taken this material from Helen Bond's op-ed piece for Bible and Interpretation over a month ago, Jesus through the eyes of an Irish republican (not "her blog", as the piece incorrectly has it). Helen was discussing there her conversations with Adams and how they had caused her to think about the Historical Jesus, but no discussion about Judas appears in the programme. Meanwhile, Doug Chaplin offers his reflections on tonight's episode, "Daughters of Eve", over on Clayboy, and I have been meaning to mention The Independent's write-up of last week's episode featuring Anne Widdecombe. Update (18.20): Jim West comments. . . . . He had one of the most original and powerful minds of his generation, and spanned the very separate fields of Hebrew Bible and New Testament studies in a way unique in the second half of the twentieth century. His most important contributions to New Testament scholarship included arguing long and forcibly for a fresh view of the relationship between the Gospels that overthrew a long consensus and led to a new generation of scholarship. He was also a noted authority on the Psalms. Michael was incisive in debate, with a brilliant wit . . . The entry also mentions the memorial service at St Francis Hall on 25 February at 2.30pm. Well, it was inevitable that in the end I would get to Q on the NT Pod. So to have waited until episode 25 might be thought of as some kind of achievement. This latest episode is the third in a back to back series on the Synoptic Problem, beginning with NT Pod 23: What is the Synoptic Problem? and continuing with NT Pod 24: Was Mark the First Gospel?. I am running these episodes alongside my New Testament Introduction course which I am teaching at Duke at the moment. I had initially planned to do three back to back episodes on the Synoptic Problem, but decided that it would be better and fairer to take one episode to lay out the case for Q, the current one, and then to give my reasons for disagreeing with that case in the next episode. That one will be along soon. I have also continued with the extended episodes of the NT Pod, using recordings of the lectures, and I will blogging those here in due course. In the mean time, NT Pod subscribers will already have received them. Over on the T & T Clark blog, Dominic Mattos notes the presence of several T & T Biblical Studies authors on TV. On The Bible: A History, there have been appearances from Francesca Stavrakopoulou (episodes 1-2) and Henry Wansbrough (episode 3), and Dominic also notes that I am the Series Consultant. And there are more T & T Clark authors to come, Paula Gooder in episode 4 ("Daughters of Eve" with Bettany Hughes) this Sunday, Helen Bond in episode 5 on Jesus (the Gerry Adams episode), James Crossley in episode 6 on Paul (the Tom Holland episode) and me in episode 7 on Revelation (the Robert Beckford episode). Larry Hurtado also appears in episode 6, though I don't think he's published with T & T.
Elsewhere on the blogs, Matt Page, in Bible Films Blog, comments on the Ann Widdecombe episode, The Bible: A History, part 3 and Doug Chaplin, in Clayboy, has comments on the same episode, Going clubbing with the Bible (mainly anyone who disagrees). I and many others blogged about a blog offering the Top 50 Biblical History Blogs the other day. Over on BiblePlaces.com blog, Todd Bolen has sussed out what is going on over there in a well written exposé on How "Top 50" Lists Work. Looks like he is right on the money or, rather, their attempts to get to the money. Update (10 October 2018): If you can't see the audio player above, try this direct link to the audio file. 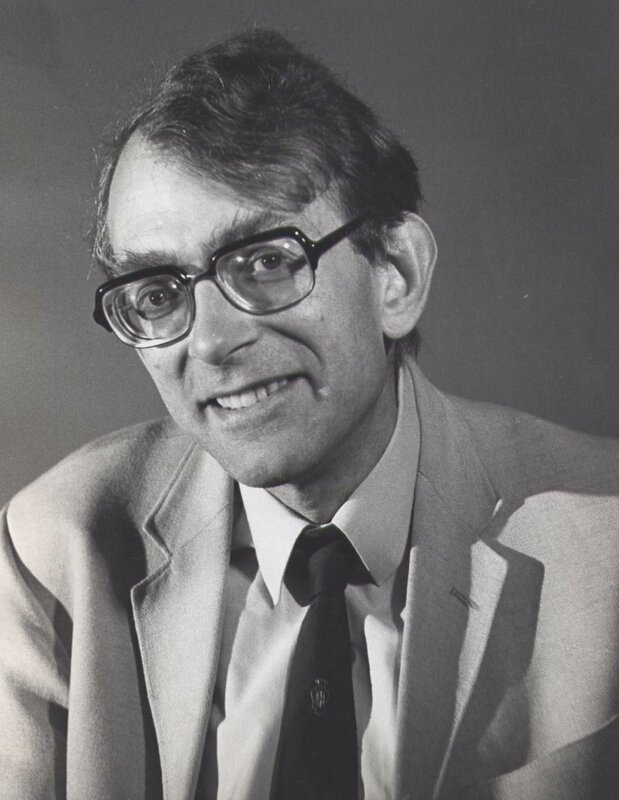 Michael Goulder was Professor of Biblical Studies at the University of Birmingham, well known for his creative approach to the Gospels and the Psalms and for resigning his orders as an Anglican priest not long after contributing to The Myth of God Incarnate, a celebrated collection of essays that questioned the traditional Christian doctrine of the Incarnation . . .
Update (20 July 2010): The Times has now placed a lot of its content behind a paywall. The obituary is still available to view at no cost at the link above, but now in a no-frills version and without the picture that originally appeared, and which I have reproduced here (left). Mary Daly was one of the first American women to train as a Roman Catholic theologian. She became a controversial philosopher of religion, criticised for her audacity and creativity as “a radical lesbian feminist”. Her initial challenge to established theological doctrines and emerging feminist movements may not appear radical today but Daly’s “theology” shocked the Establishment. From the beginning, she challenged what she saw as the oppression of women; that is, the implicit “patriarchy” of the Catholic Church . . .
One criticism of the piece though; it shouldn't assume that subjects like paleography can't bring in research grant money. The research councils and other funding sources recognize the value of such things and are quite willing to fund projects on them if they are well thought out. Indeed. Some of the most successful units in gaining research grants have been those specializing in ancient texts. In addition to Jim's own successes, you need only to think of ITSEE at the University of Birmingham. When you're done, don't forget to tweet it. Moreover, if you have a blog, why not blog it too? Several bloggers are rightly celebrating their inclusion on a new list of the Top 50 Biblical History Blogs. Neither the NT Blog nor the NT Pod themselves make the cut, nor does the NT Gateway make it into the "other studies and study tools" section, but those absences give all the more room for all the other fine resources listed there. I uploaded the latest NT Pod at the weekend, the second in the current series of back-to-back episodes on the Synoptic Problem, asking Was Mark the First Gospel?. In it I cover some of the main arguments for Marcan Priority, but I decided to save the argument from editorial fatigue for another NT Pod later in the year. I have also released two extended episodes, which use the audio from my recent classes on the topics, and I will post separately on those in due course. You can listen to my guest spot on KGO Radio's God Talk with Brent Walters either via their archive, which has a streaming and an mp3 download function. My contribution starts about seven and a half minutes in and lasts off and on for the hour. The broad topic is the Synoptic Problem, though it ranges onto related topics too. 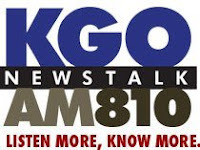 I'll be guesting on God Talk with Brent Walters on KGO Radio, tomorrow morning. The topic will be the Synoptic Problem. God Talk is on from 6am to 9am PST, which is 9am to 12pm my time here on the east side of the USA. I'll be on during the last hour of the show, between 8am and 9am PST, between 11am and 12pm my time. You can listen along on the internet if you are not in the San Francisco area, at KGO Radio. It will be my second time on the show; I did slot on Paul last June. I have now reached the part of the New Testament Introduction class where we look at the Synoptic Problem, naturally one of the most enjoyable elements in any New Testament Introduction course. This term, I am following along my teaching with episodes of the NT Pod. The latest episode is NT Pod 23: What is the Synoptic Problem? I released it on Wednesday and it is the first of three back-to-back episodes on the Synoptic Problem. This one introduces the problem and surveys the data. The next episode will deal with Marcan Priority and the one after that with the existence of Q. For those who are interested, I am also experimenting, for this topic, with extra, extended versions of the NT Pod which use the audio feed from my lectures on the topic. The first of these is already available, and I will cover it here in a separate post later. The second is ready and will go online this weekend, along with NT Pod 24. If you'd like to subscribe to the NT Pod, it's available on Duke iTunes U or through your reader or at the NT Pod site. When I am reading manuscripts or editing or examining, one of my favourite typos is "periscopes" for "pericopes". The word pericope is a favourite among Biblical scholars, for a unit of text, a passage, especially in the Gospels, especially in contexts connected with form-criticism. Even as I type this entry, "pericopes" is getting underlined in red as a spelling error, while "periscopes" is not. Since the advent of spell-checkers over the last generation or so, I suspect that this typo has become much more common. The eye misses the extra "s" and it is not, of course, picked up by the spell-checker. The other day I glanced at my hand-out in class and saw the word "periscopes" there where it should have been pericopes, so I had fallen prey to the same error. Perhaps this is a reason to stick to the slightly affected plural "pericopae"? Grove have updated their website so that now all the Biblical Studies Bulletins for 2009 are online. The most recent one, for December 2009, includes reflections on the SBL Annual Meeting 2009, and reviews of books by Francis Watson and James D. G. Dunn. Thanks to Dr Richard Briggs for letting me know. The following is posted on behalf of Mladen Popovic. The department of Theology and Religious Studies of the University of Groningen is looking for a PhD candidate (0,9 fte) for the project 'The Jewish Revolt against Rome: Religious Groups and the Shaping of Identities in First-Century Judaea'. This PhD position is financed by a grant of the SNS/Reaal Fund. It will run parallel to the interdisciplinary NWO VENI project The Dead Sea Scrolls and the Jewish War against Rome (66-70), which investigates the impact of Rome on the self-understanding of a Jewish group at Qumran prior to the revolt. PhD candidates are expected to carry out research within the historical and archaeological framework of first-century Judaea in relation to the impact of the Roman Empire on the region and the conflict of 66-70/73. Projects may investigate e.g. Flavius Josephus' position, specific tions, specific sites, regions or interregional connections from different perspectives and on the basis of different sources (literary, archaeological and/or numismatic). The final form of the PhD project will be determined in consultation with the PhD candidate. We are looking for enthusiastic candidates with a Master's degree or equivalent, in a (sub)discipline in which the doctoral study will take place. Candidates with a degree in Hebrew Bible, Jewish Studies, Ancient History, Classics, or Archaeology are especially encouraged to apply. The degree must have been obtained within a reasonable period of time and with results that justify the expectation that the student will be able to successfully complete the programme in four years. This PhD position is available as of September 1st, 2010. The death of the Old Testament scholar Donald Wiseman (1918-2010) has been mentioned in several of the blogs, including BiblicalStudies.org.uk and Zwinglius Redivivus, both of which carry material from Pete Williams, the warden of Tyndale House, and reflections from Alan Millard. Remarkably, the picture shows Wiseman standing next to Agatha Christie. The highlight of the departmental Christmas party was the presentation of a cake, baked by James and iced with an ancient hieratic text, which had to be identified before the cake could be cut. It's not that often that classicists or Biblical scholars are on Desert Island Discs, but it's little surprise that Mary Beard appeared on the programme last week. It's a very entertaining and quirky episode, as you might expect. She defends her notorious post-9/11 column, talks about her parents and her past and says that life as an academic is "bloody hard work" and yet the ideal job. Not sure Kirsty Young should have allowed her the Elgin marbles as her luxury item, though. The nice thing about Desert Island Discs these days is that you can download it as a podcast too, with the tracks reduced to an even shorter length (10 seconds or so?!) than on the actual programme. Also mentioned on Rogue Classicism. Against this background, a non-apocalyptic Jesus sounds oddly complacent, stuck in an 80s time warp, when the only thing to rail about was conspicuous consumption and social inequalities. Of course, these things are important, and I don’t doubt that Jesus had something to say on the matter, but in a modern context these reconstructions seem to lack an important dimension. There is no point in teaching others to fiddle a better tune if Rome is about to burn all around you. Over Christmas and New Year, six-million people in Britain tuned in to the popular TV series Dr Who, in a lengthy two-part special called "The End of the World" (luckily David Tennant averted disaster). The two-parter was actually called "The End of Time", though Helen is quite right that its apocalyptic scenario witnesses to some taste for such things among the British public, who gave the two parts unprecedented appreciation indexes of 87 and 89 respectively. Helen's viewing figures are grossly underestimated; the total viewing figures for each episode were in fact over twelve million (source: Blogtor Who). If I were being really geeky, perhaps I might add too that while David Tennant clearly "averted disaster" he did so at the expense of his own identity, and now we have Matt Smith to look forward to. I released the latest episode of the NT Pod at the weekend. The topic is The Anonymity of the Gospels. 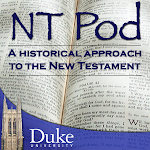 This semester, I am teaching New Testament Introduction here at Duke and I am running the NT Pod alongside classes, providing episodes related to the topics that arise in class. This one came out of the lecture on the authorships and dates of the Gospels. It is a topic I have blogged on here before, and you can read some of my thoughts on it in a little more detail in The Dating Game VIII: John, Thomas and Authorial Self-Representation (cf. the disciples writing the Gospels), as well as in forthcoming publications, of course. For the next couple of episodes of the NT Pod, I am planning to talk about the Synoptic Problem. Well, it had to happen sooner or later, didn't it? There is a new Teaching the Bible e-pub available at the SBL site, for February 2010. For those unfamiliar with this regular publication, it is "designed to support teachers of high school Bible electives" and "it features easy to read and reliable resources that you can use in your classroom". There is a special focus on Wisdom Literature in the latest edition. Duane Smith has posted the latest Biblical Studies Carnival, number 50, over on Abnormal Interests. (At least I think it's supposed to be 50?). There is a lot of stuff there, nicely divided into two halves, the first of submissions from outsiders, the second of Duane's own selections. Meanwhile, the Biblioblog top 50 continues over in Free Old Testament Audio Website Blog.